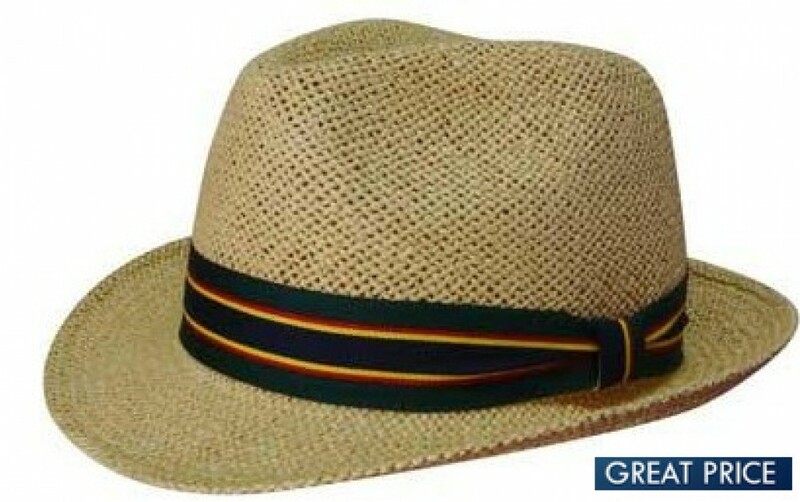 This is the perfect 'anytime' fedora style string straw hat. Its neutral natural colour goes well with all sorts of clothing, all year round. The woven straw construction of this hat will help to keep you cool when you need it most. The hatband comes in a range of colours and is a great accent piece. The edges of the brim are finished to help prevent fraying. It even features an elasticized sweatband to help wick away moisture. Comes in two sizes - S/M and L/XL. These classy string straw hats feature a hatband that we will brand with your logo. Once branded, these hats make great uniform accessories for employees in both indoor and outdoor settings. Great for resort businesses, souvenir merchants, tour organisations or hipster cafes. With a mixture of classic style and modern comfort, there's no beating these hats. Your logo can be printed or embroidered on the hatband. Standard price includes embroidery of up to 8000 stitches. Ask for pricing information on other branding options. Please provide your branding artwork in eps, pdf or high-resolution jpeg format. The listed prices exclude GST and delivery costs. Ask about our digital mock-up service. We brand your caps quickly and efficiently and have them delivered to your door in a two-week standard turnaround. Faster delivery is possible in some areas -- just ask our friendly sales staff. We deliver to all states and territories of Australia -- WA, TAS, SA, QLD, NT, NSW, ACT. We cannot deliver outside of Australia. Our experienced freight company will require a signature so we cannot deliver to PO boxes.